zomg my pants are gone!!!!!!!!. omg im half naked. *starts crying*wahaaaaaaaa. HD Wallpaper and background images in the Super Smash Bros. Brawl club tagged: super smash bros. brawl image screen. And is that little boy next to Mewtwo, Ness? 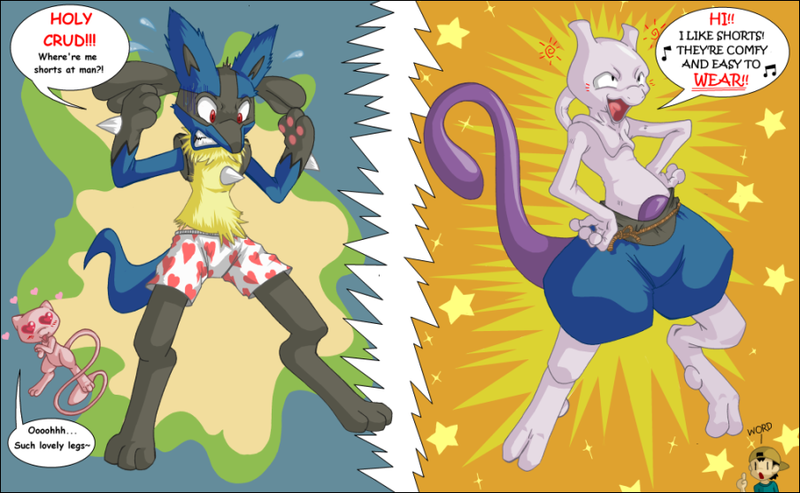 WTF poor Lucario, Mew2 has stole his pants! Now... he wears a... girls... underwear? 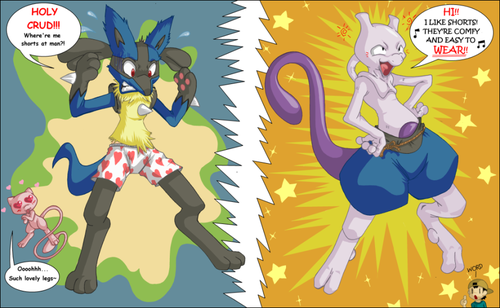 A little creature beside Lucario is... Mew? what is going on on this site?